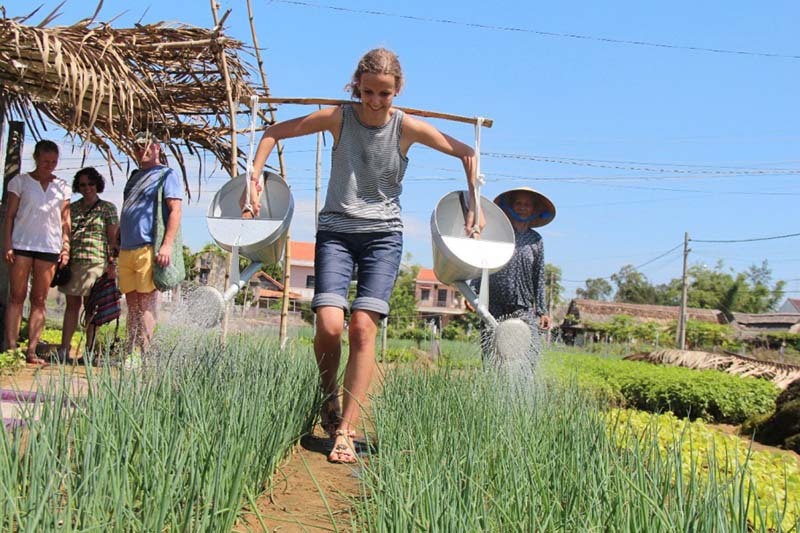 Day trip riding a bike to Tra Que vegetable village, going outside Hoi An town to the countryside of Tra Que herb village; you can have a wonderful time with the local family besides visits this heritage ancient town. 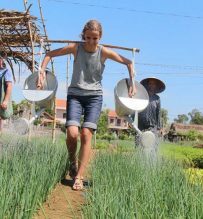 Spend the day to visit the tranquil village, be a farmer and learn how plant as well as cook daily dishes of local people. 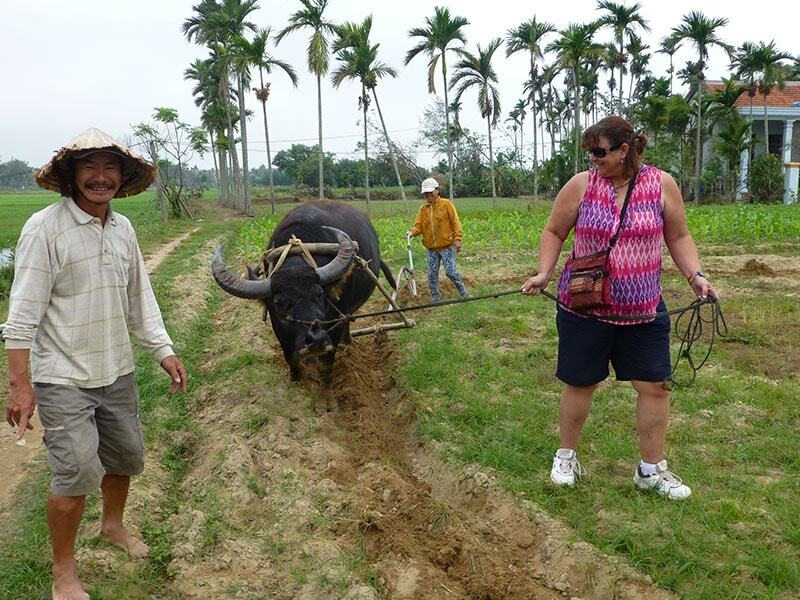 Morning pick up at your hotel and starts to make a bicycle trip to the countryside of Hoi An Town. Riding on bike you can see the tranquil atmosphere of the countryside of Vietnam. 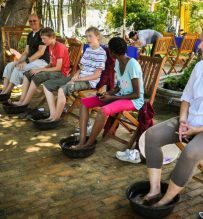 Arrive at Tra Que Organic village, you have a walk through and visit the garden where local farmers work on their farm and use the traditional methods without having electrical machines support. 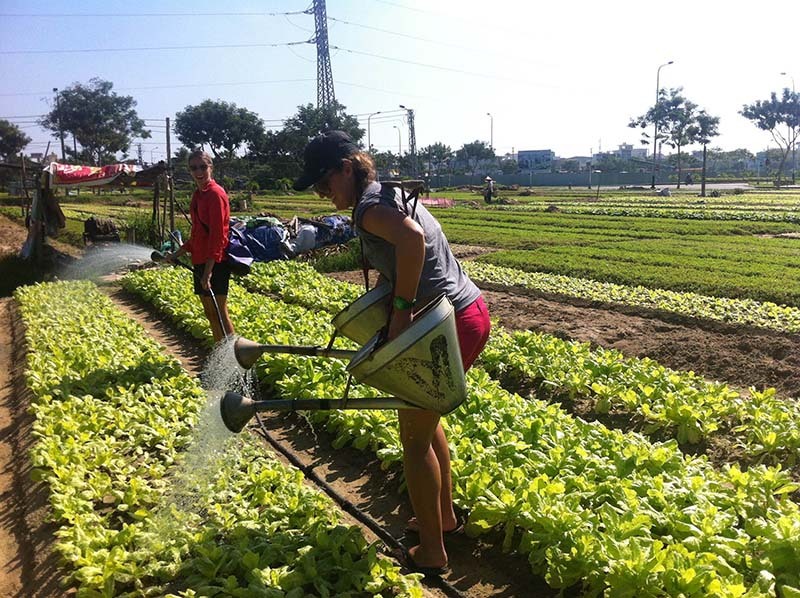 Next, you are under the instruction of household; to show you how to prepare and make the land, you fertilize green manure before growing vegetables. 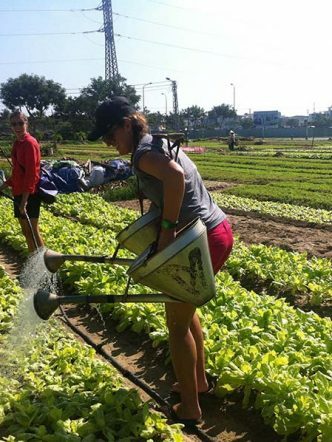 Last but not least, watering the vegetables which you have just grown. After that, you pick fresh saw-tooth coriander and Vietnamese mint for your cooking lesson later. 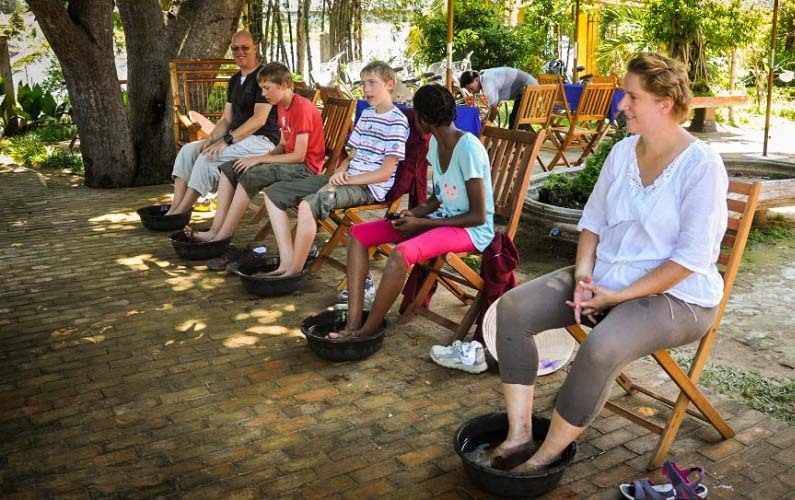 You have about 20 minutes to relax by soaking your feet in medicine herbs, to refresh yourself after the hard time in garden. 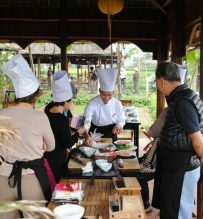 Then you can join with the family chef and learn the traditional ways in preparing and cooking local Vietnamese dishes. Have your lunch with the family after class. 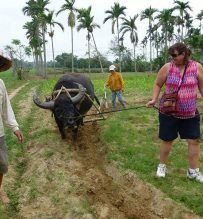 14.00 say good bye to the host and ride back Hoi An town. 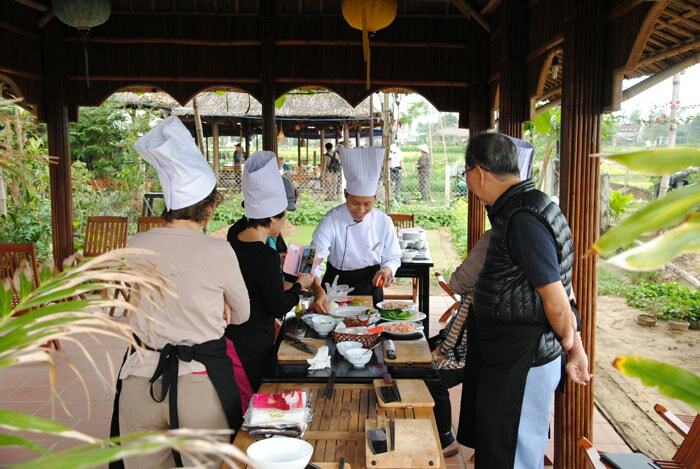 **This tour can be combined with a walking visit to Hoi An ancient town in full day trip. 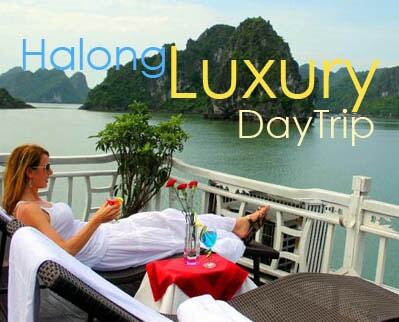 PRIVATE TOUR prices quoted in USD per person in private group.